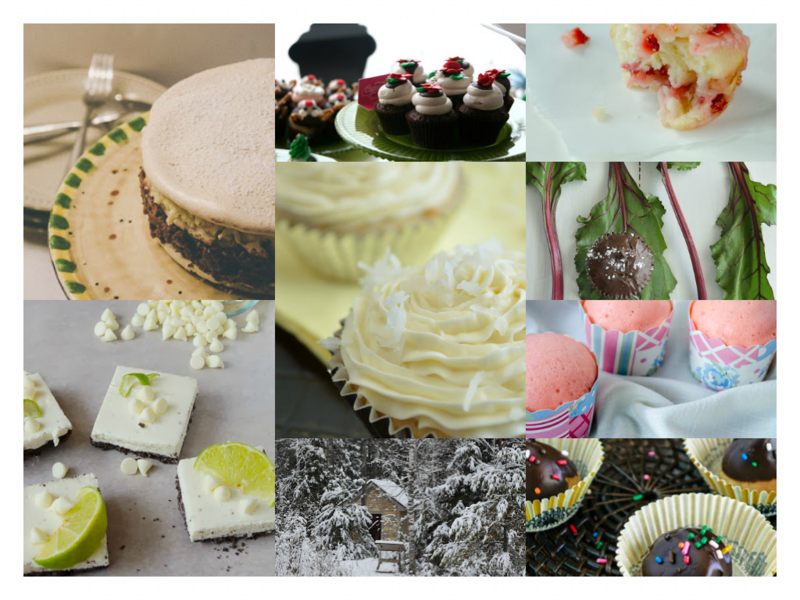 A big day today here on The Sunday Pastry, its this blog's one year anniversary! Or if you want to throw in a pun, the first Bloggiversary. To be honest I'm really surprised I've done this for a year! I'm the kind of person who has half finished projects everywhere, but I also feel super accomplished that I've stuck with this for a whole year. I remember my beginning pictures on this blog and cringe a little bit inside, but my food photography has gotten much better since then! 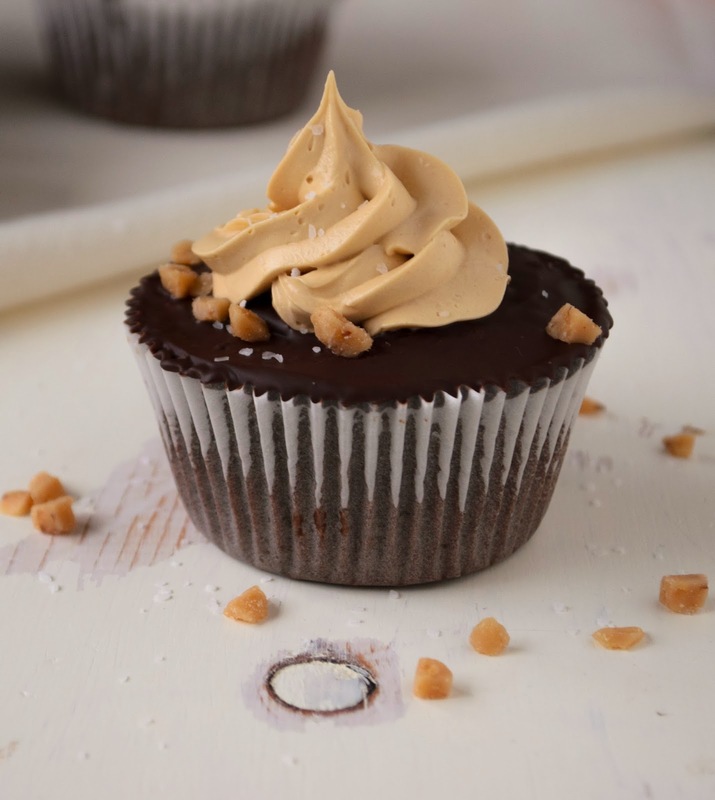 For this week's recipe though, I wanted to make one of my favorite flavors, salted carmel, into a cupcake for the anniversary. I found a great carmel butter creme recipe, and added it to my favorite chocolate cake recipe to make some amazing cupcakes. Measure out butter and heavy cream and have them ready to go next to the stove. Put sugar in a saucepan over medium heat and watch it. As the sugar begins to melt, swirl the pan gently to promote even carmelization. Once the sugar has reached a deep-ish amber color. Be careful, as it will burn quickly if the heat it too high. Add butter and whisk like crazy. Its going to bubble and spit and then calm down into a smooth, creamy looking caramel. Then slowly add your heavy cream, whisking again the whole time. It should now look like a slightly-runnier-then-you-would-like-it sauce. Pour it in a container of some sort and place in the refrigerator to cool until needed. Preheat oven to 350 degrees F. Line muffin tin. Combine butter, chocolate, and cocoa powder in a medium bowl and place over a pot with 2 inches of boiling water (creating a double boiler). Melt chocolate mixture until smooth, then set aside to cool. Combine flour, baking soda, and powder in a small bowl, set aside. In a standing mixer, combine eggs, sugar, vanilla, and salt, stirring to combine. Add the cooled chocolate mixture to wet ingredients. Add a third of the flour mixture, stirring until batter is thick and velvety. Divide evenly into the muffin tin, and bake for 18 to 20 minutes. Put butter in a mixer with the whisk attachment and beat the darn out of it. Slow it down and add powdered sugar and then beat it up some more. Speed it back up again and slowly add the caramel sauce (make sure it is either room temp or cold, do not add warm caramel sauce! ), then beat it for about 5 minutes. Melt the chocolate in the microwave in 20 sec intervals, stirring until smooth. Level the tops of the cupcakes with a serrated knife. 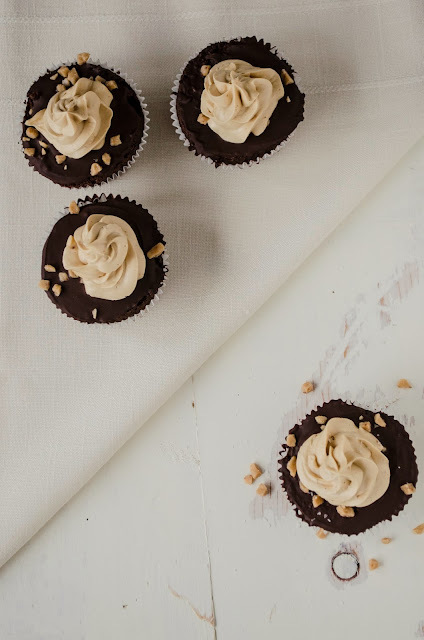 Place a large dollop of chocolate on top of each cupcake and use an angled icing spatula to spread the chocolate evenly around the cake. Top with a sprinkle of toffee pieces and set aside to harden the chocolate. 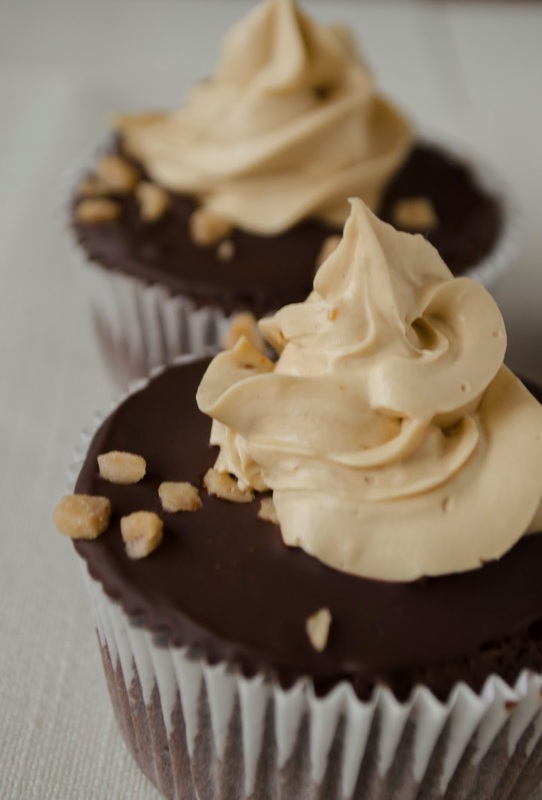 After the chocolate has set, use a pastry bag with a jumbo star tip to create a swirl of buttercreme on top of each cupcake. Sprinkle with sea salt and place in the fridge again to harden the buttercreme for about 1 hour. Enjoy! These gourmet cupcakes are absolutely amazing!